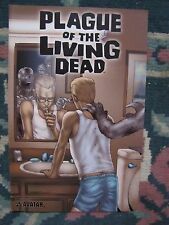 PLAGUE OF THE LIVING DEAD # 5. VF/NM. 2007. AVATAR. ALL GORY COLOR COMIC.